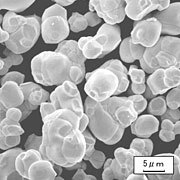 Tungsten Carbide Powder｜JAPAN NEW METALS CO., LTD.
Tugsten Carbide (WC) is an essential material for cemented carbide tools and wear resistant tools, etc. due to its properties such as hardness at high temperature. Japan New Metals is the largest manufacture of tungsten carbide powder in Japan. The charcteristic of this product is that it offers high hardness properties. Custom made tungsten carbide powder adjusted T.C. value is also available on request. Cemented carbide tools and wear resistant tools, etc. This type of tungsten carbide powder has finer particle than that of standard type. Cr, V or Cr and V doped WC powder can be also manufactured. * (N) indicates products with no additives. 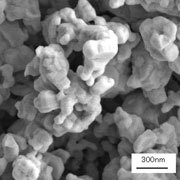 * Single particle type with more finer grain also can be produced.